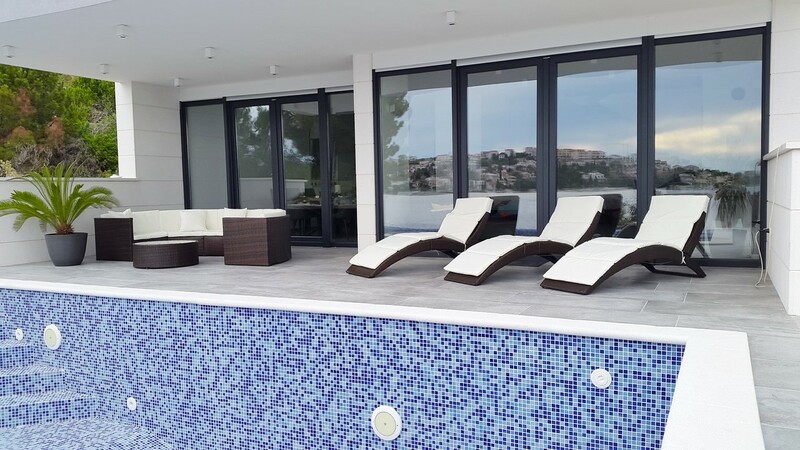 RG1078AP – A stunning seafront villa for sale Rogoznica, with a gorgeous infinity pool, spacious and top-quality interior and wonderful sea-viewing terraces. Living area of the house has the surface of 280m2 and it consists of a basement and three upper floors. The basement consists of a cellar, a pool maintenance room and a garage of 71m2. Its ground floor consists of a laundry/storage room, a bathroom, a kitchen, a dining room and a big open living room with a fireplace. The dining and the living room have access to a wonderful terrace with the pool. A big outside dining area is on this level as well. The first floor comprises two big bedrooms of 22 and 15m2, each with its own wardrobe and a bathroom. 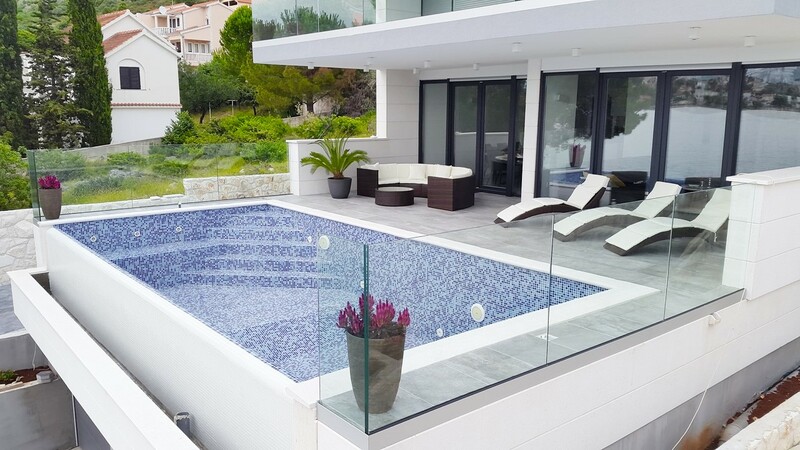 A terrace of 34m2 overlooking the pool and the sea is also on this level. There are two more bedrooms on the second floor, each again with an en-suite bathroom, a terrace and a wardrobe. 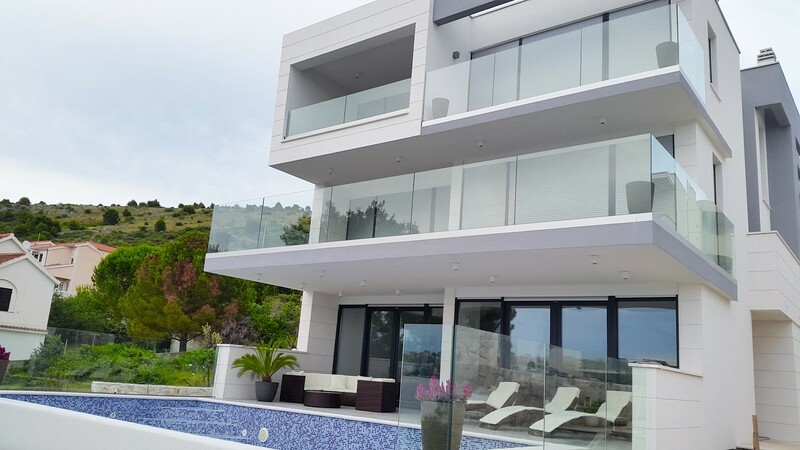 The location of this villa is excellent and serene, it is surrounded by pine trees and family houses with nothing but the mesmerizing blue sea in front of you. 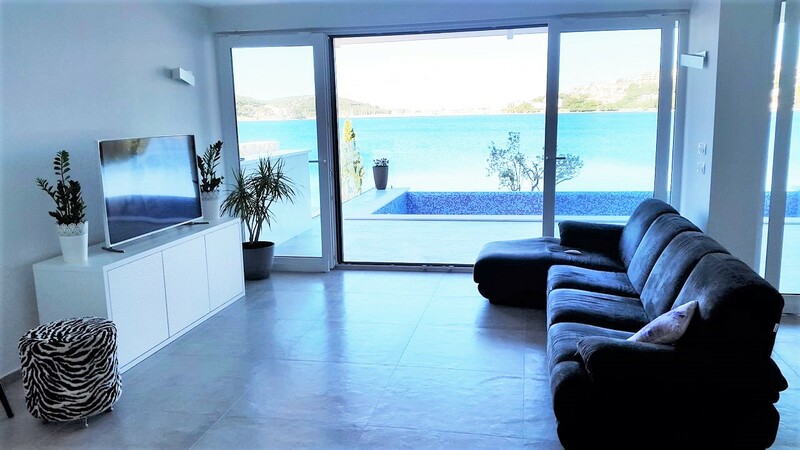 The quality and design of the interior of the villa for sale Rogoznica is first-rate with the best possible furniture and appliances. Here you have complete peace and privacy, but you are close to all amenities at the same time. 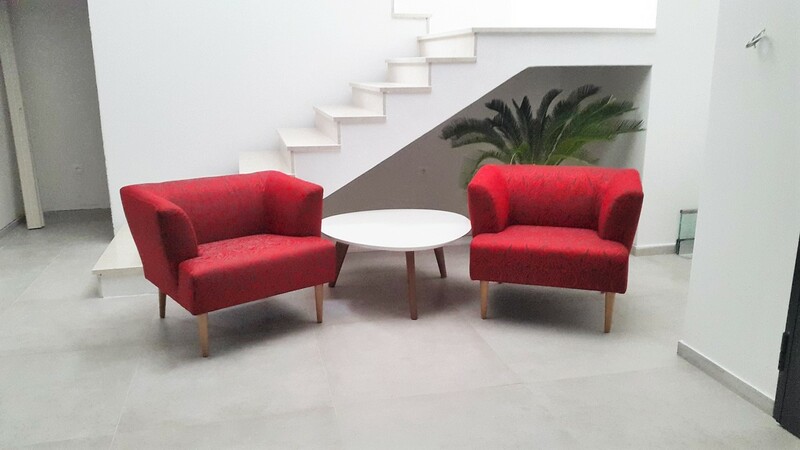 Besides being popular on the real estate market, properties of this kind are very popular among tourists as well, so if you decide to use it for business purposes, you will make guaranteed extra profit.